Dynamite Comics is announcing Legends of Red Sonja, an all-star, all-woman sword & sorcery jam to celebrate the 40th anniversary of the iconic She-Devil With A Sword, at this weekend's Comic Con. I have been a fan of Robert E. Howard's work ever since I first picked up a copy of Roy Thomas & Barry Smith's CONAN THE BARBARIAN #23 from the spinner rack at the Sunflower Grocery Store in McGehee, Arkansas, 40 years ago. It would prove not only to be my introduction to the sub-genre known as sword & sorcery, but to the wider world of the old pulps, in particular WEIRD TALES, which lead to my discovery of such writers as H.P. Lovecraft, Frtiz Leiber, Clark Ashton Smith, Leigh Brackett, Robert Bloch, and, eventually, more contemporary fantasy writers such as Michael Moorcock and Karl Edward Wagner. 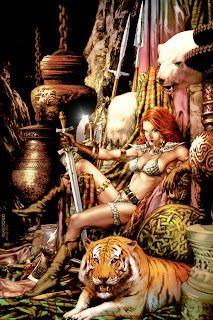 I am honored to have been given a chance to add to Red Sonja's mythos and give back to a character that proved so pivotal in my own development as a writer. 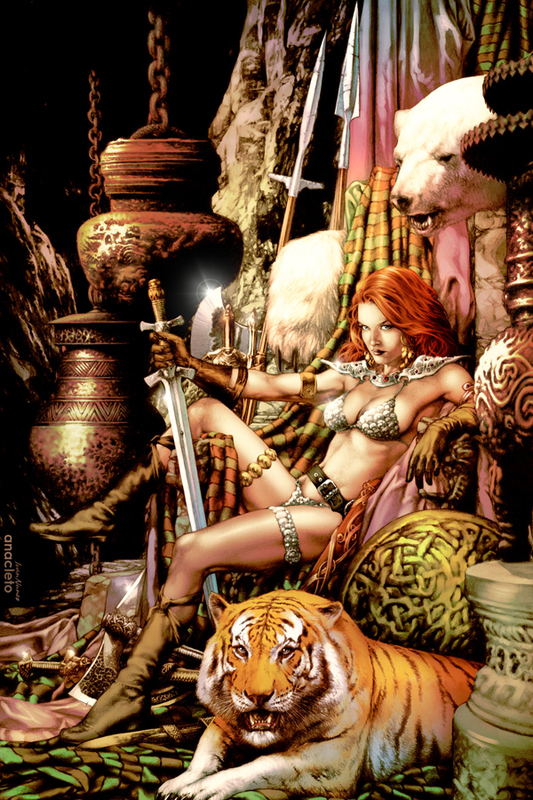 Read more about Dynamite's plans for Legends of Red Sonja here.